Everything was fine until Wikileaks and (subsequently) Edward Snowden came along and proved a lot of conspiracy theorists right while inspiring more. The public’s paranoia is at an all-time high. People who thought they weren’t important enough to be spied on are beginning to have doubts. If you didn’t know, Smartphones are incredibly easy to spy on. Look at a Cell Phone Tracker developed by Cocospy for instance. It allows you to track people and monitor their phone usage without them even knowing. So it’s important to learn about it so you can use it yourself or protect yourself from its use. Cocospy is a tracking and monitoring tool for mobile devices such as smartphones. 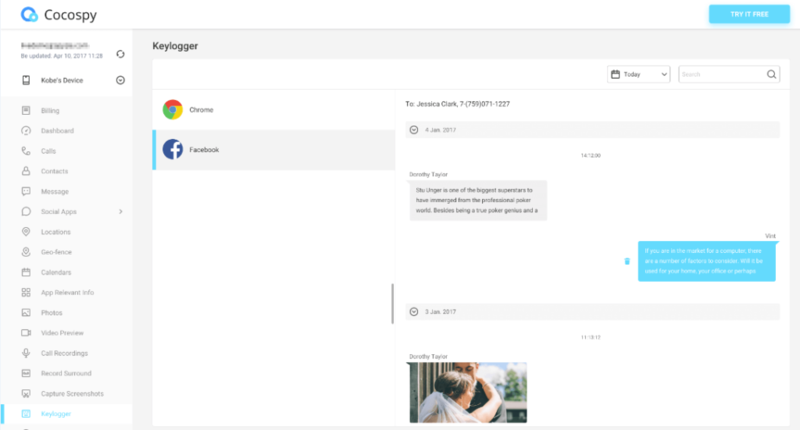 It has received attention and accolades from publications such as The New York Times, iGeeksBlog, Top 10 Reviews, Life Hacker, Forbes, and many others. 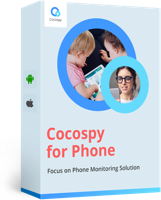 What makes Cocospy special is it allows you to spy on social media applications such as WhatsApp, SnapChat, Facebook and Instagram without having to Jailbreak or root the phone you’re spying on. You don’t even have to install any other apps on the smartphone. This is an actual first in terms of monitoring applications. 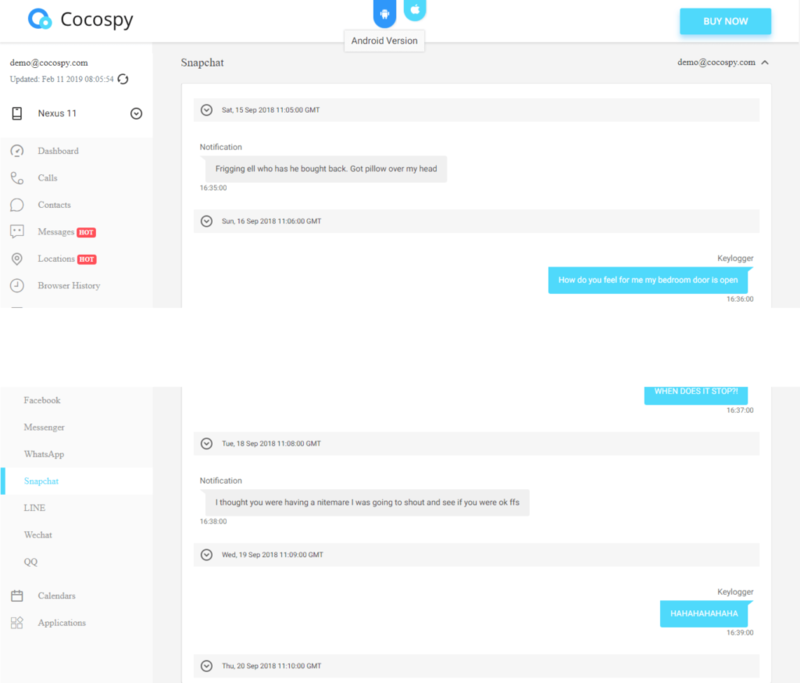 Cocospy is a Snapchat spy that actually works. You can learn more about how to spy on Snapchat from their website. Cocospy also comes with a key logging tool which can be used to extract usernames and passwords. So when you’re surfing and entering in all your details into your banking apps or web-browser, someone may be using it to note down your credentials. Cocospy also is an extremely useful browser history tracker tool. You can filter information based on which sites they went to. You can use data and time stamps to see when a person reaches or has reached a site. You can also identify individual sites a person logs onto. Cocospy is virtually undetectable on the phones that it runs on. It runs in the background and it also allows you to remove the icon remotely. Ever been stuck in a long line or stuck waiting for your dentist or doctor appointment? You might have the urge to browse the internet and get lost in Wikipedia. You might want to check your bank account balance through your phone. Maybe you use your phone’s browser to check up on your email. So it’s very important to maintain your smartphone’s security. You have to ensure that you’re protecting yourself. We’d suggest that you steer clear from your stock browser and download an alternative browser. Firefox Focus is considered to be one of the most private browsers you can get for your Android or iOS smartphone. Firefox Focus Private Browser – Automatic ad blocking and tracking protection. Your computer’s web browser isn’t the only one that allows you to browse in incognito mode. There are actual browsers that browse strictly in incognito mode like InBrowser. 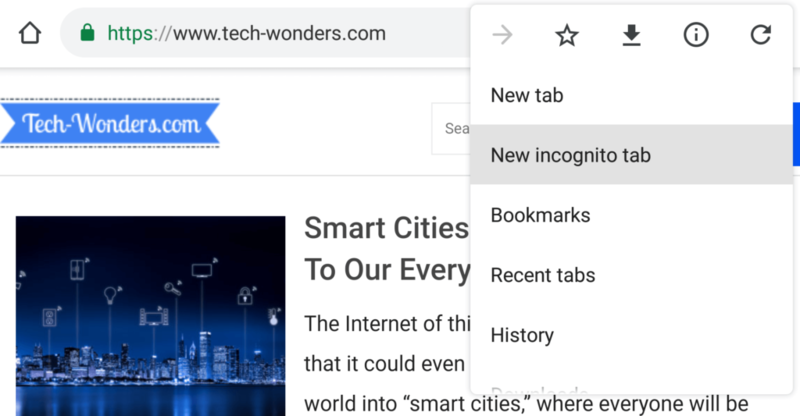 Browsing in incognito mode in Chrome’s mobile app is as simple as hitting the overflow button and selecting “New incognito tab”. Browse the web privately in Incognito mode. Sometimes your mailbox may let through some spam email then you have to do your mail clients job for it. You have to be able to discern between what’s spam and what is not. Don’t open any suspicious emails or follow any links with offers that seem too-good-to-be-true. Even if you’re on a website with a good reputation, you might still find some fishy links. Before tapping on a link, make sure that it’s not misspelled or pointing to a strange subdomain that in reality, does not exist. This is your last line of defense. If all else fails and you make a mistake and download some malware, you need to ensure that you have an anti-virus to provide some back up for you. Try to ensure that you’re running the latest ROM or OS on your smartphone. Make sure that all your apps are up to date, especially your browser and antivirus. If you’re using Android, make sure you download apps using the Google Play Store app instead of using the website or any other sites. Do not try to download any APK or application packages if you don’t know what you’re doing. This goes for the Apple Store as well. Do not take any chances. The internet can be a dangerous place for the naive. Knowledge is power – as the old clichéd adage goes. 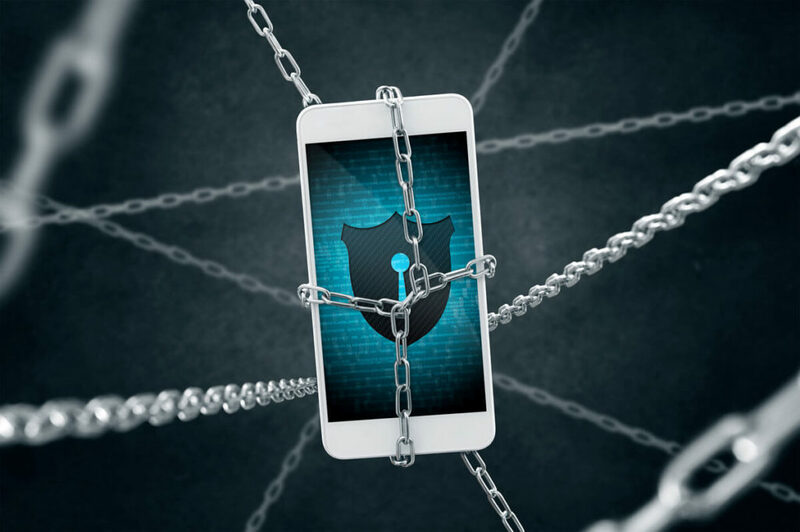 I hope this article arms you with enough knowledge to protect yourself while you browse the internet on your smartphone. Thank you for reading.